The most expensive and complicated things we have to create and shoot are kitchens. From both an environmental and time point of view, we don’t want to have to ship in all those white-goods from everywhere, shoot them and then ship them all back again. And unfortunately, kitchens are one of those rooms that differ very much depending on where you are in the world. A kitchen in the US will look very different to a kitchen in Japan, for example, or in Germany. So you need lots of different layouts in order to localise the kitchen area in brochures. Very early on we created around 200 CG exchanges versions for 50 photographed kitchens in 2008, with the products we had – and I think everyone began to understand the real possibilities. 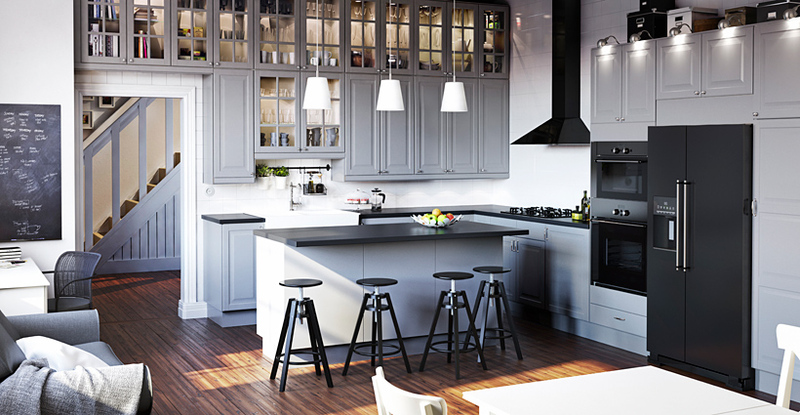 IKEA trained its photographers in 3D modelling and its 3D artists in photography. This was something I didn’t expect from a flatpack furniture company.